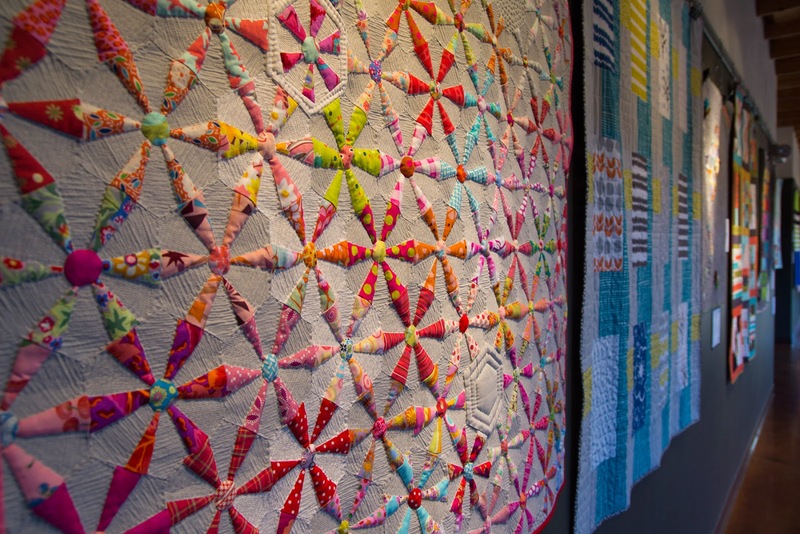 Our 2014 Quilt Show opened with a bang! We had a wonderful response both in number of attendees and in positive comments. I dare say we even inspired a few to pick up some unfinished projects of their own. 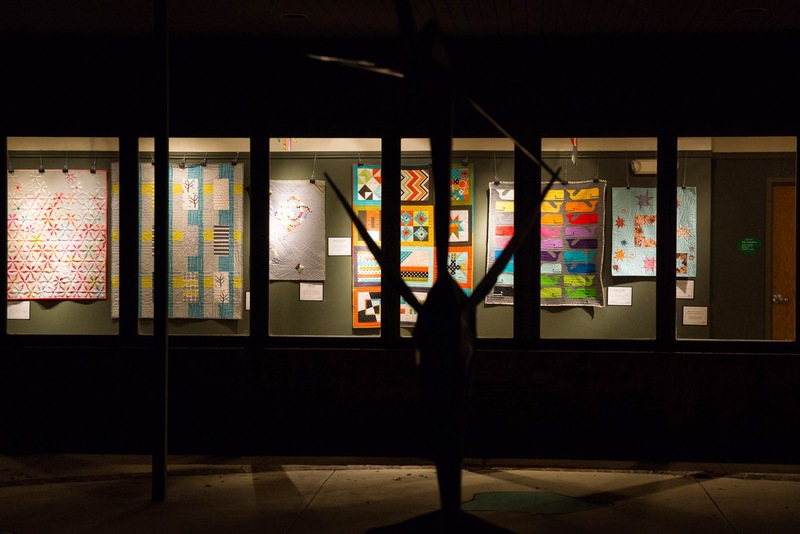 I’d love nothing more than to show you each and every quilt in the this post, but we’d much rather have you come see them all in person! As the last of us were leaving the building, I turned and saw an amazing site. Standing in the shadows, I looked through the windows into the lit-up building and saw an array of amazing color! It was so beautiful to see that we all pulled out our phones and cameras to take a few pictures. If you’re in the area at night, cruise on by. I’d be remiss to overlook this opportunity to send out a HUGE thank you to Amanda Lipscomb, the mastermind behind this year’s show. It takes a great plan to have a great show and we appreciate all her time and hard work. Heartfelt thanks to the many other volunteers behind the scenes who helped with flyers, set-up, refreshments and anything else that needed to be done. A special thanks to Alejandro Lozano de Aos for his lovely guitar music throughout the night. Alejandro is a student at Classen School of Advanced Studies and we appreciate him sharing his talents. Last, but certainly not least, thank you to the Fine Arts Institute of Edmond. We greatly appreciate the use of their wonderful facility! I heard several members talking about signing up for an art class! 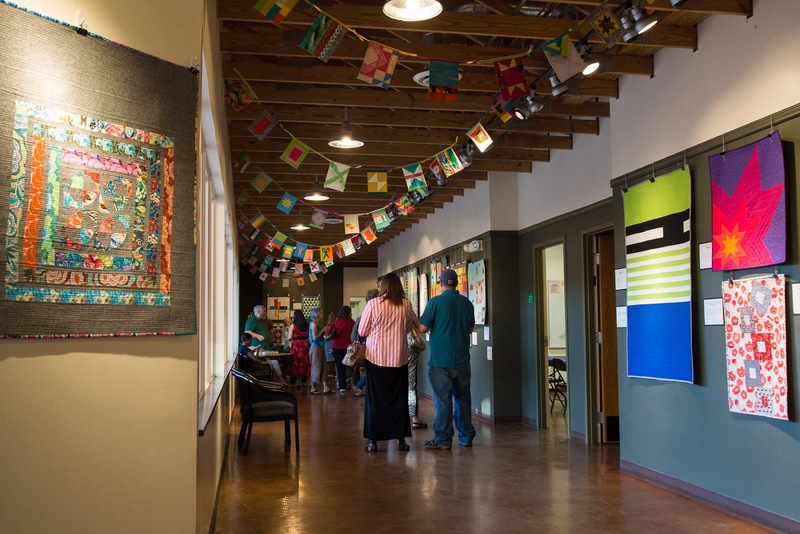 Remember, the show continues weekdays from 9:00 am - 4:00 pm through October 30th, at the Fine Arts Institute of Edmond, 27 E. Edwards Avenue. 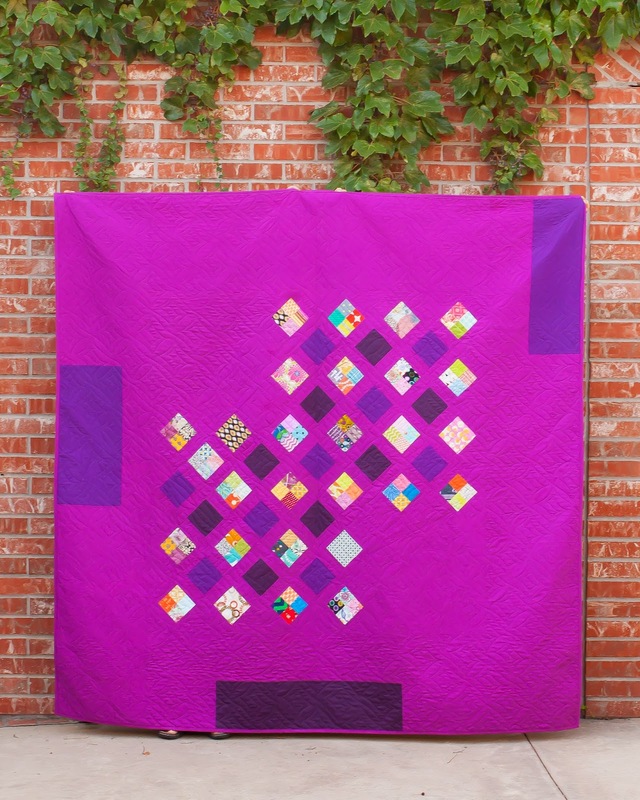 Also, don’t forget to enter our Quilt Raffle for a chance to win this beautiful modern quilt! You may purchase raffle tickets at the Institute or on this blog. Click the QUILT RAFFLE button at the top of the sidebar to get your tickets today! Great post..the show is awesome! A great recap of a great night! The show is fabulous and It'd fun to see the photos again. I just hope everyone who wants to gets a chance to go! WIN the "Doppleganger" Raffle Quilt!